Yum Yum Yum – Not sure how much will be left for preschool lunch box tomorrow. I try and bake/make something new for her preschool lunch box each week (hubby knows Tuesdays is baking day and he ensures he pops home to say “hi” and for a quick taste test) and as most preschools it needs to be nut free. 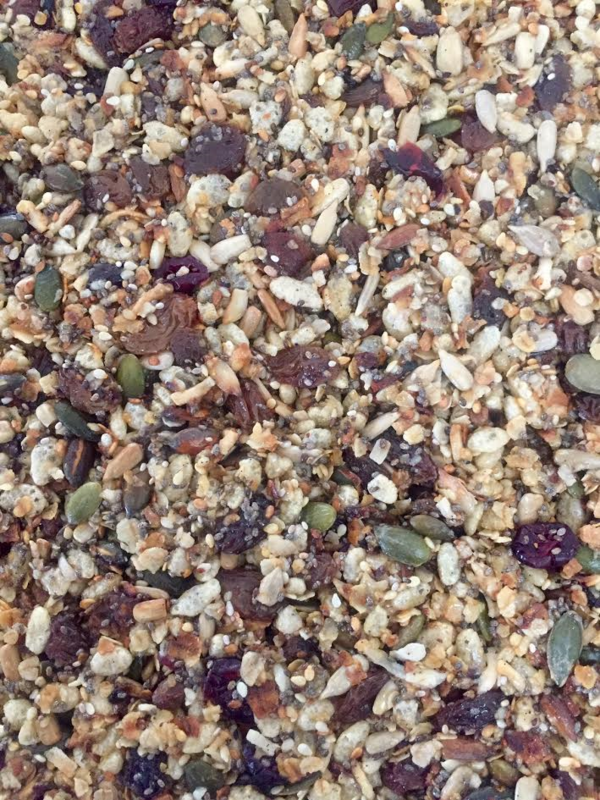 This week I wanted to make a muesli slice and this is just so yummy and easy. Once oats and other ingredients have cooled add the fruit and rice bubbles and stir. Cook butter, honey, vanilla and sugar in a small saucepan over medium heat, stir continuously until sugar dissolves. Bring to the boil and then reduce heat. Drop a little mixture into a glass of really cold water and if it forms a soft ball it is ready. Remove immediately from heat and add to the dry ingredients. Use baking paper and lift out of tray on to a chopping board and cut into slices. Keep in fridge for about 1 week (but it wont last that long) you can also freeze them for about 3 months.